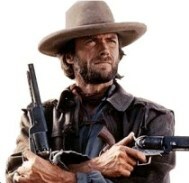 Since the age of 10 I have been a Clint Eastwood fan. I remember watching the Spaghetti Westerns with my dad, and him telling me “he’s the fastest draw, they are as good as dead” those words resonated deeply at that tender age and Clint was suddenly an icon in my eyes. I’ve done all the usual fan things, collected posters and video tapes, read the biographies and articles and even naively written to him for autographs. As the years have gone by I have tried to collect more one of a kind and special items, but never did I think for a moment that I might actually get the chance to meet the man in person on his working set and be directed by him as an extra in a scene in his latest movie! Towards the end of 2008 I saw a charity auction which read, “A walk on part in a Clint Eastwood movie”. I wasn’t quite sure I could believe what I was reading! The chance to be in a Clint Eastwood movie? Really? This was quite simply the most exciting opportunity I could imagine! So began a period of nervous investigation while I checked that the auction was exactly what it claimed and that, most importantly, my wife might let me bid! I called the charity involved and they confirmed that it really was indeed a chance to appear in a Clint Eastwood movie and that as far as they were aware, no such chance had ever been offered to the public before. The movie itself is called Invictus, although the filming title was “The Human Factor” and is the story of Nelson Mandela in the years after his release from prison and the unification of South Africa with the historic 1995 Rugby World Cup as the catalyst. The project is Morgan Freeman’s and he sought personal approval from Nelson Mandela before taking it to his old friend Eastwood to direct. 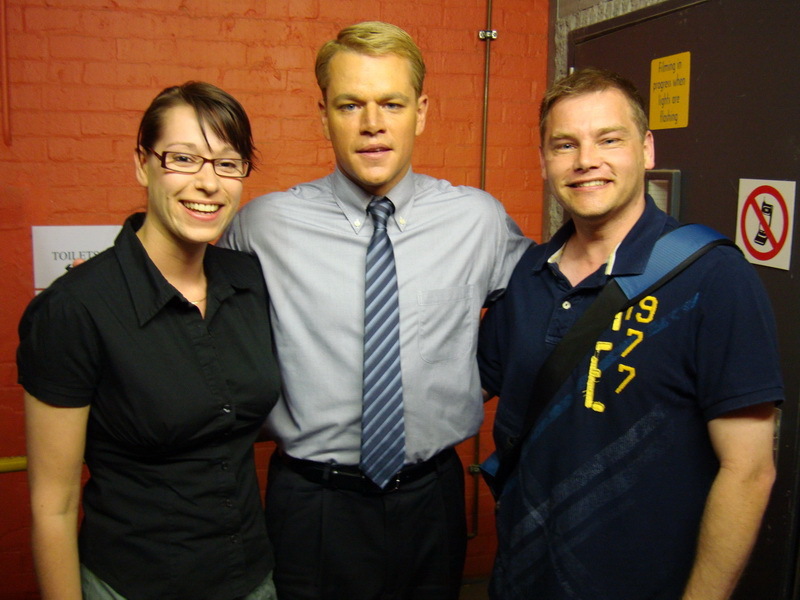 Freeman plays Mandela and Matt Damon plays Francois Pienaar the captain of The Springboks. 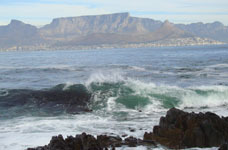 The entire movie being shot on location around South Africa with the vast majority of filming in beautiful Cape Town. The exotic location made it a little easier to convince my wife this was a worthwhile endeavour and we decided, that if successful, we might turn this experience into our annual vacation. So, to cut a long story short, and after much begging and borrowing, I left my high bid with some automated software and tried to get some sleep as the auction closed at 5.30 AM UK time. Next morning I was up surprisingly early for some completely unknown reason! I nervously crawled out of bed and went on line to find out how I’d gotten on. I waited endlessly for the page to load, typically slow of course. I was triumphant and very, very happy. It appears some of my friends were also mysteriously up at the same time eager to see if I was successful as the phone rang almost immediately and text messages began arriving. It seems many folk knew this was a prize that was finding a worthy home. After a few days, the charity dropped me a line to say that someone from the production would be giving me a call to arrange the details. 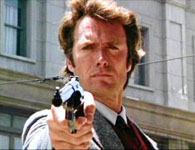 Yes, that’s someone from the production on a Clint Eastwood movie going to call ME to sort out my filming dates. Evidently, I had now entered the Twilight Zone. At time of bidding, I was fully aware that the details in these “experiences” are far from assured and that there might be a level of risk involved. Usually this type of auction will contain the caveat that any scenes you film cannot be guaranteed to make the final cut and no promises can be made. This auction contained no such clause, however “Etched in stone” is not a term used in film production. Schedules change, locations move and movies get cancelled. But this is a Clint Eastwood production, he is renowned for bringing his films in under budget and on time with little or no hassle. I was very hopeful that any scene I might be involved in had a better than average chance of making it to the big screen, to my way of thinking, just being on set and watching Clint work was prize enough. Sure enough, the next day, the executive producer no less, called to talk to me about what was in store! Any fears I had instantly became distant memories as he stated that he would very much like to get me in close to be filmed with a principal actor or an important scene that was unlikely to be cut. Also if the scene allowed, my wife could be filmed too. This could hardly have been better, not only was a very senior member of the production dealing with me directly from the outset but it appeared we were going to be very well looked after. We chatted through some provisional dates and I set about booking the flights. 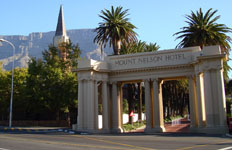 My wife and I flew directly to Cape Town, South Africa and we were met by a car at the airport and driven in luxury to the spectacular Mount Nelson hotel. Known locally as “The Nelly” or “The Pink Lady” the exquisite hotel is an incredible colonial style building with a fascinating past. Rock stars, politicians, movie stars and numerous Royals have enjoyed its celebrated service and hospitality. We were quite comfortable there, thank you very much. 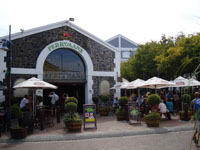 We had extended the trip to 2 weeks and spent the first week settling in and taking in the sights and sounds of Cape Town. What an amazing city it is. I was quite unprepared for the relaxed atmosphere and the beauty and history of the place. We visited Table Mountain, Robben Island, the Kirstenbosch gardens and the V&A Waterfront. On the Friday, we were asked to be at the movie base camp for 11.30 am in winter clothes on the Monday morning. A quick trip to the mall was required as we had obviously packed for the stunning and very warm autumn weather. I was keen that we would be filmed in our own clothes rather than those provided by the wardrobe department. We arrived as instructed and were asked to take a seat among the other extras that day. We were filming a scene in a crowded bar and many other patrons of a hostelry were required. After a while a production assistant came by and asked us if we were the auction winners, we were then separated from the throng and things turned rather VIP after that. We had some relaxing drinks and nibbles and absorbed the atmosphere of a busy movie production. We passed the “1995” costume test with the set wardrobe lady for the attire we arrived in and we were then promptly driven to the location. 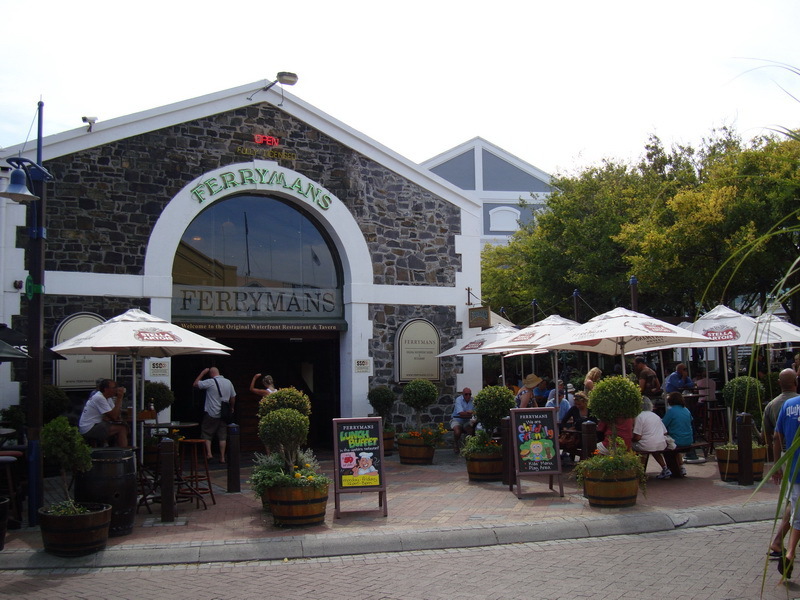 Just a few minutes from base camp is “Ferrymans Tavern”, one of the older bars in the newly refurbished and very popular Victoria and Alfred Waterfront. Today it was to be the location for a Hollywood movie. We finally got to meet our contact face to face and he quickly took us through security, through the black hoardings that surrounded the location and into the heart of the building. It was incredibly hot inside with rows of studio lights blazing away and banks of electronic equipment buzzing with life. On the far side of the room, sitting in the corner, with headphones on was Clint Eastwood, just waiting for the scene to be relit for the next shot. It was an incredible moment. He looked very relaxed and was enjoying the company of his son Scott, who has the role of one of the rugby players in the movie. The shot was swiftly composed, including fake cigarette smoke circa 1995 (how quickly we forget what bars used to be like) and we stood in the background and watched as Matt Damon acted just feet away from us. This scene was quickly and efficiently filmed and then repeated from two more angles before we broke for lunch. “Our scene” was scheduled for the afternoon and our excitement was now reaching fever pitch. We were lead on to set and generously placed front and centre and we waited while the first assistant director told us all what was expected and what the intention of the scene was. A few dressing props were handed out to lend to the atmosphere and I did my best not to look at the camera, which is much, much harder than you think! At this point the actor within me was released. If there was an Oscar for extras, I can safely say that won’t be winning it, but it was a remarkable experience none the less. The scene was shot from 3 different angles and with just one take each time. Clint really is the most well organized director, he watched each take intently on a handheld wireless monitor and quietly moved position to view the action personally from time to time. He clearly knows when he has what he needs. No need for unnecessary retakes or inserts. Also plainly evident was that the crew clearly love working for him, most have been with him on multiple projects and they are fiercely loyal. Everyone referred to him as “the boss” and it would be impossible to think of a more appropriate title. He commanded complete respect from all present and his soft, sure handed style was a joy to witness. 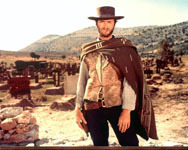 Often it was difficult to know when the cameras were even rolling such is the way Eastwood gets on with filmmaking. No yells of action or cut, just a very quiet “lets try one” and the crew would swing into action. I simply have too limited a vocabulary to adequately describe the thrill of watching my lifetime hero at work, let alone begin to account for the feelings I had of participating directly. Whether my wife and I make the final cut or not, I can say with pride that my wife and I have been directed by Hollywood legend Clint Eastwood. Our scenes then moved out of the pub and on to the streets outside. We were required to do a few takes and we had to be quite noisy. By the second take, a large, excited and very curious crowd had gathered. Most of them struggling to get a grip with the idea that Clint Eastwood was making a movie at their local pub. Security did a great job keeping the multitude back and desperately tried to prevent camera flashes and video recording but were unable to stop the occasional intrepid camera wielding admirer or brave autograph hunter breaking through. It was thrilling to see the excitement generated by a working film crew. After filming had wrapped for the day we were introduced to the great man himself and he graciously spent a few minutes with us, somewhat surprised that we had travelled from England to be unpaid extras in his movie! 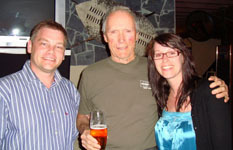 He posed for a couple of photos with us and quietly drank a very well earned beer. He was clearly tired after a day masterminding his production yet nothing seemed too much trouble for him. You often hear that you shouldn’t meet your hero as it can only lead to disappointment, well from personal experience I can say nothing is further from the truth. I suppose it does depend on who your hero is though! Earlier in the day I managed to get a call sheet for that day with the scenes that we were in and I was anxious to keep it as I thought this the ideal souvenir of the whole experience on set. 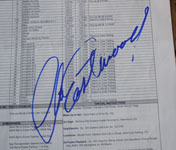 Clint kindly signed the call sheet for me and it concluded an utterly perfect day. Invictus will be released in the US on December 11th. The content of this article is the copyright of Prop Store. Photographs and text cannot be duplicated or quoted without the express consent of Prop Store management.